Something interesting I've learned today: "Schlange" is the German word for snake. That factoid is courtesy of the Germans on my tour of Rottnest Island's wartime gun emplacements. Our guide, Jim, has wasted no time in warning us about snakes, specifically deadly dugites, which have been known to enter the tunnels below to eat mice. Thanks, Jim. Watchful of the area around our feet, we're unnaturally alert as he leads us through the Oliver Hill complex, explaining that it was constructed in the late 1930s as war loomed. The big guns were designed for 19th century battleships, he says, but served their purpose here on Rottnest. The island stands like a symbolic ship, guarding the approaches to the Western Australian coast. In the end they were never fired in anger. "They had quite a nice war," muses Jim, a dapper white-haired gent who is full of facts as we walk through the chambers and tunnels which served the emplacements. Stepping out at the end, I've forgotten about reptiles; then a large goanna dashes across the path ahead of me. 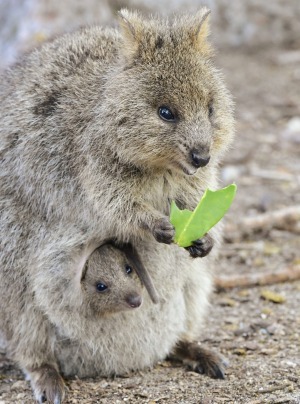 Wildlife aside, Rottnest Island has had a fascinating history. Most visitors focus on the physical pleasures of its beaches and restaurants, but there's plenty of scope for exploring its chequered past. The Grand Island Tour, which I'm on today, is a good way to start. The first section is aboard an open-sided train which follows the route of the original army railway of the 1930s. 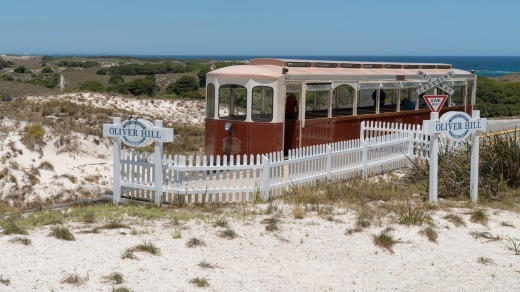 From a stop in The Settlement, Rottnest's main township at Thomson Bay, it tracks slowly upward to Oliver Hill. It's a rattling, bumpy ride as we pass silver-blue salt lakes, gentle hills and twisted tree trunks. As we curve toward the summit we gain a beautiful vista of sandy shores and deep blue ocean. After the gun tour we transfer to a coach with driver Greg, who provides commentary on both history and scenery as he drives toward the far west of the island. Aside from learning about quokkas, the popular local marsupial, we pass the sites of historic shipwrecks: including the Japanese fishing boat Kiryo Maru, whose rusting remains are visited by divers. He also points out the former prison. 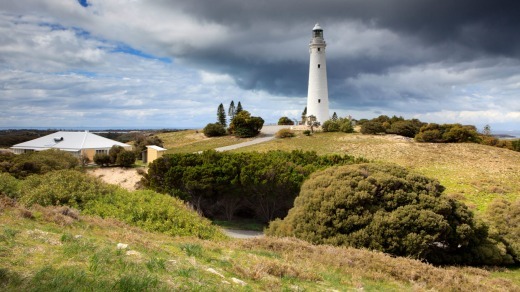 Though Rottnest is synonymous with sun and fun today, for decades in the 19th century it had a grimmer purpose as a jail for Aboriginal men brought here from the mainland. They were housed a building known as The Quod. Though it was used as hotel accommodation until recently, it's planned to become a memorial site along with the adjacent Aboriginal Burial Ground. Our bus pauses at Henrietta Rocks for us to peer at the rusting wreck of a barge, which Greg says is a mystery – no one knows how it ended up here, though there are stories of it being cast adrift from Fremantle by a business rival. After a stop at the Wadjemup Lighthouse, which takes the Aboriginal name for the island, we proceed across the Neck to the island's western end for a dramatic view over a rocky drop to an ocean of multiple shades of blue. Heading back to The Settlement along the northern coast, we pass City of York Bay, named after the ship of that name which was wrecked here in 1899 with the loss of 12 lives. Its anchor can be seen in the Rottnest Museum. 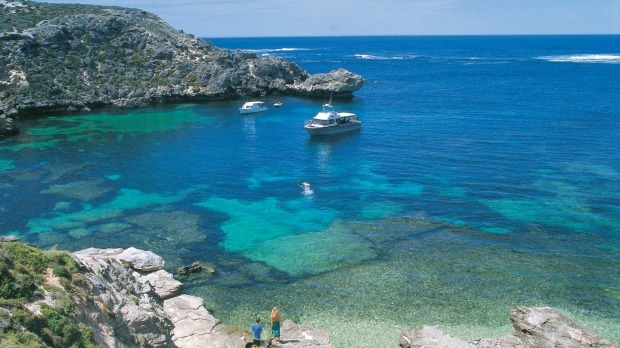 Rottnest's maritime history can be further explored via the free walking tours offered by volunteer guides. The one I join the next day, Reefs, Wrecks and Daring Sailors, includes a stop at a historic boathouse. Pilots were once dispatched from here by whaling boat to guide ships through the treacherous waters towards Fremantle. There's a replica boat in the shed, and it looks a fragile thing to take on the powerful waves of the Indian Ocean. The tour over, I return to my accommodation at the Hotel Rottnest, a pub which was once the summer residence of the Western Australian Governor. With a beer in hand and a view over the ocean, I think it's the ideal spot to reflect on an attractive island with a complicated past. Tim Richards travelled courtesy of Great Southern Rail and Tourism Western Australia.